I remember having a conversation with my friend Ellie concerning Pink about 2 years ago. She couldn't believe how much I despised her, how I loathed her dull, well oiled Pop/R'n'B dance routines and mean nothing lyrics. But her return this year has seen something of an image change. For a start, her previous single 'Don't Let Me Get Me' got playlisted at Virgin. Which really should speak volumes. 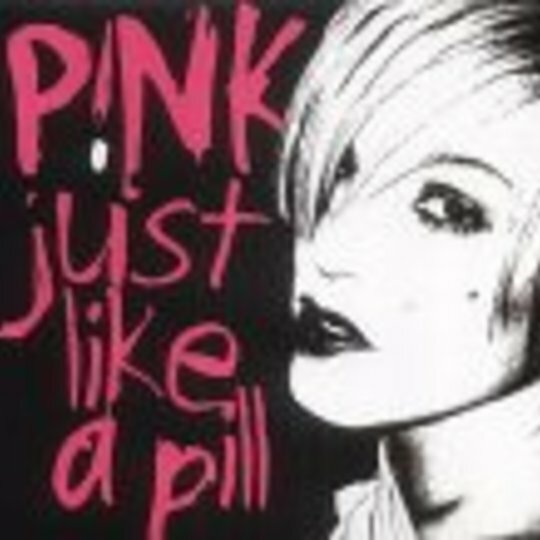 Now she's bounding around every radio station going with the angsty 'Just Like A Pill'. And for whatever reason, it's a fascinating record. To the trained guitar-led eye, it's mix of pop sensibilities, MTV grunge guitars, and 6th Form lyrics, bemoaning the state of a relationship. But to a generation that sees fit to send Atomic Kitten to the top of charts, it must sound like a revolution. And this is a record with a edge, a kind of pot boiling over at any moment, ready to go off at any time vibe. And, to show my incompetence as a journalist, I can't figure out what it is. This is an uneasy, tense song. Yet at the same time it obeys the Pop Industry's well dusted rules for a hit. Looks like you're going to have to work this one out for yourselves.